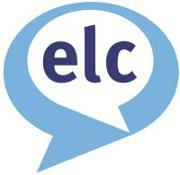 At ELC we understand how important it is to have a safe, comfortable and welcoming place to stay during your time studying one of our courses. This is why we have dedicated staff in our centres who can help you arrange an accommodation option that suits you: Studios We have a variety of studio apartments available for students to stay on a self-catering basis for students who want complete independence while still being taken care of by us. Homestay accommodation Stay with a local family – living in a private home gives you even more contact with English speakers and a real insight into life in London. Student residences Stay in student residence with shared kitchen / restaurant facilities and social spaces, offering independence as well as a real international experience with fellow students. Hotels For students who prefer the comfort of a hotel or guesthouse, we have a range of hotel accommodation in the local area to suit different budgets that we can recommend. Rented rooms Renting a room is an independent, inexpensive option, recommended to students who would like the comfort of a home, while having the freedom to live independently.